He was also happy for Ishant Sharma who is also a Test specialist and is playing for the Delhi Capitals. Last year, while most of the Indian players were busy playing the Indian Premier League (IPL), the Test specialist Cheteshwar Pujara was in England featuring the County season. The Saurashtra batsman has had a very limited IPL career between 2010 and 2014 during which he played 30 matches. The new wall has remained conspicuous by his absence from the T20 razzmatazz for the last five years. though former Indian spinner Anil Kumble feels he should also be a part of the extravaganza. Pujara, who has a strike-rate of below 100 in the IPL and also has featured in just five ODIs, might not be among the most attractive batters to take stance in the T20 format but his recent batting display on the international stage made him a deserving candidate for IPL as well according to the legendary former cricketer who had once led the Royal Challengers Bangalore (RCB) to the final of the IPL (2009). India’s other Test specialist Ishant Sharma though was lucky to be picked by his home franchise Delhi Capitals this season. The lanky pacer has been more regular in the IPL compared to Pujara and has played 78 matches for his 62 wickets and also registered a five-wicket haul. 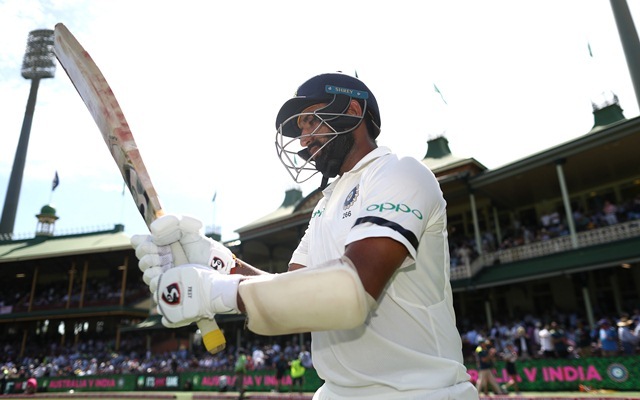 Cheteshwar Pujara was unfortunate to remain unsold in the auction for IPL 2019 last December though at the time, he was having one of his best tours. Starting from Day 1 of the first Test against Australia, India’s number three continued to impress the cricketing world and belted three centuries in four matches to score over 500 runs and bagged the Man of the Series award as India pocketed their maiden Test series victory Down Under. But the show didn’t impress any of the franchises. “Ishant has both the skills and the confidence. He has done extremely well in Test cricket in the recent past and deserves a place in the IPL. It is unfortunate that some players miss out,” the 48-year-old Kumble said on IPL’s official broadcaster Star Sports’ ‘Select Dugout’ chat show. “Test players who are playing for India like Ishant and Pujara as well should be a part of the league. I am glad that Ishant finally got a chance to play and is doing really well,” the former India captain and coach further said. Get the latest Cricket News and updates from the Indian Premier League, Match Predictions, Fantasy Cricket Tips and lots more on CricTracker.com.